The New England Patriots dynasty has no signs of slowing down and coming off the Pats amazing 6th championship players and fans have already started setting their sites on the next one. The Patriots are in the enviable position to add many young players to their already strong roster as they have a stockpile of draft picks for April’s NFL Draft. The 2019 NFL Draft will be held in Nashville, Tennessee, from April 25-27. Last year, the Patriots selected nine players in the draft, most notably running back Sony Michel, who had a fantastic rookie season. This year, the Patriots hold eight draft picks and could additionally receive up to four compensatory picks from the NFL. Last year, the NFL awarded compensatory draft picks on Feb. 23. First round: One pick. 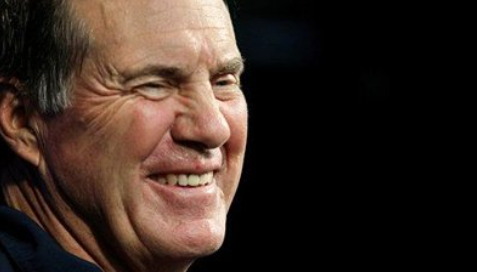 The Patriots hold the 32nd and final pick of the first round. Second round: Two picks. The Patriots hold their own second-round pick and acquired the Chicago Bears’ 2019 second-round pick on April 27, 2018. Third round: One pick. The Patriots acquired the Detroit Lions’ 2019 third-round pick on April 28, 2018. Belichick included the team’s own 2019 third-round pick in March 2018 in a trade that acquired defensive lineman Danny Shelton. Fourth round: One pick. The Patriots hold their own fourth-round pick. Fifth round: No picks. The Patriots sent their 2019 fifth-round pick to the Browns as part of the Josh Gordon trade. Sixth round: No picks. The Patriots swapped their 2019 sixth-round pick for then-Detroit defensive back Johnson Bademosi in 2017. Bademosi left the Patriots in free agency in 2018. Seventh round: Three picks. The Patriots hold their own seventh-round pick, acquired Cleveland’s seventh-round pick in the Josh Gordon trade, and swapped their 2018 seventh-round choice with Philadelphia for the Eagles’ seventh-round pick in 2018 and 2019. Shaping up to be a very interesting offseason for the defending champs and the big question will be waiting on a decision from tight-end Rob Gronkowski on his decision on his playing career.